What a scary world it would be if the number of bookworms drops to an all-time low. 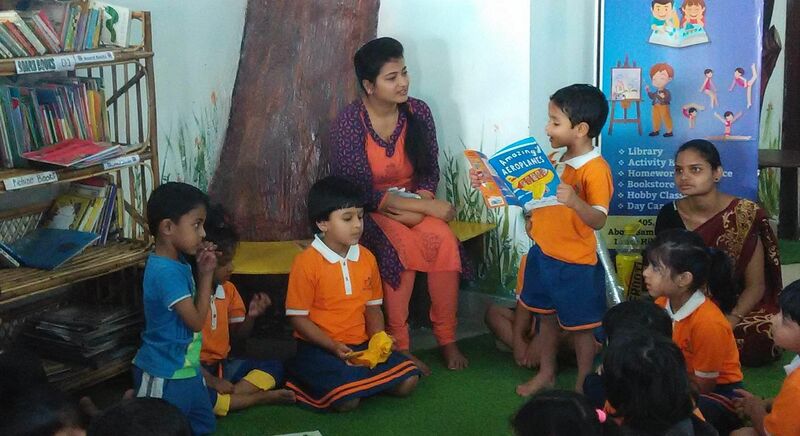 With an aim to inculcate reading in the very DNA of children, four people, namely Co-founders Richa Chadda, Narasimha Kumar, Bhanu Shankar Anukonda and Viiveck Verma, Director, Strategy started KidEngage. What started as a library in Manikonda, Hyderabad, is now a warehouse which houses over 25,000 books. They even deliver books, sometimes at their own cost, to as far as Vanasthalipuram and PBEL City. But KidEngage is more than just about books. It is a platform where you can find events, activities and everything that is happening in the city which particularly cater to children and help them develop a well-rounded personality — like art workshops and public speaking sessions. It can also serve as a admissions guide and a summer camp guide. 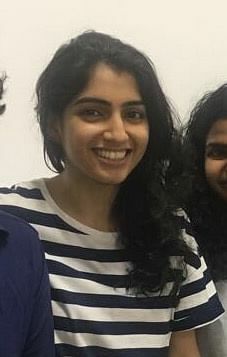 But we decided to reach out to Richa Chadda recently because of their latest programme, which pretty much stemmed from the fear that we expressed in the first few lines. “There is not much of a reading culture here, not many libraries. 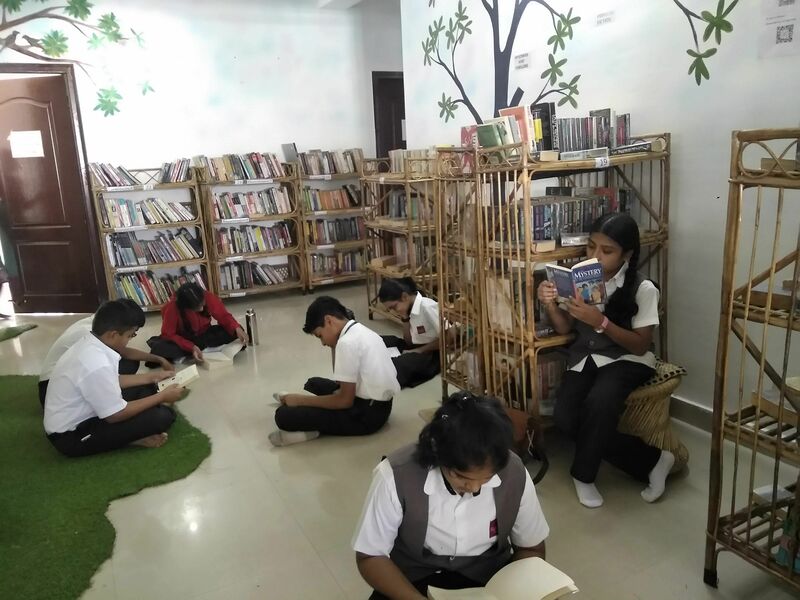 So we started a library and when we realised parents don’t know what to engage children with during the weekends, we started the portal,” says Chadda, who is from Chhattisgarh. 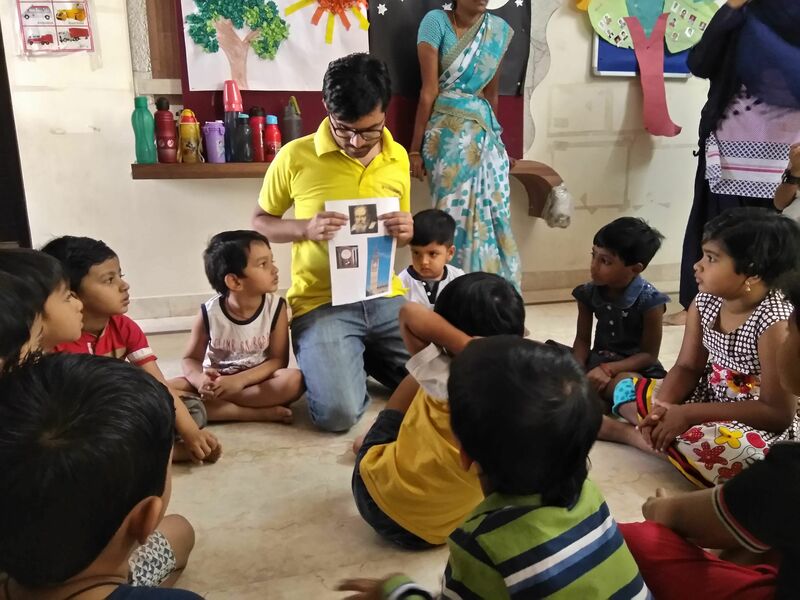 When their book delivery system also received a lot of appreciation, they decided to launch their latest programme, Raising 10k Readers which is targeted at young children. The idea is to catch ‘em young and inculcate a reading habit soon enough so that it becomes a way of life. They suggest books based on the child’s liking (Love dinosaurs? They would recommend the book How Do Dinosaurs Go To School) and by partnering with preschools, one book is delivered per week and it is recommended that children read it with parents. They are also addressing the needs of the underprivileged segments through this programme. “We hand-pick the books because even parents sometimes are clueless when it comes to which book their child should read. You can’t give them Panchatantra so early on. There is a time for every book,” says Chadda, who has a son herself. She advises that while encouraging children to develop a reading habit, it’s important to let them have fun with it instead of saddling them with moral stories. “The problem also is that sometimes, parents think that reading books is a waste of time. But they don’t realise the kind of creativity and imagination books help foster. Needless to say that it helps with vocabulary, grammar, comprehension and so much more,” she sighs. Birla Open Minds, Vignan Pre School and a few others are already on board with their idea. And though KidEngage is present in more than ten cities, they are piloting this programme with Hyderabad. Well, we could go on and on about the advantages of reading books but we decide to bid goodbye to Chadda with one last question, how has the feedback been? “When one sees children smile, that’s when we know things are falling into place,” she concludes.